Are Taxpayers Getting Their Money's Worth From the Military? 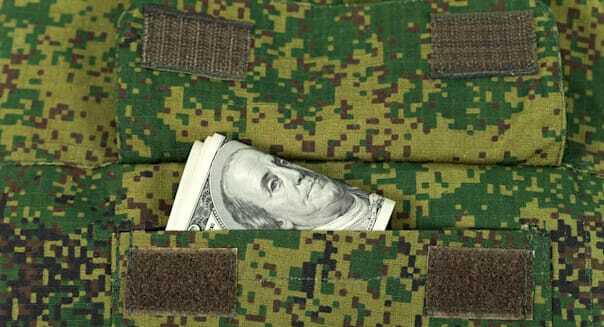 Is the federal government spending too many of your tax dollars on defense? A lot of people think so. Others worry that tax dollars aren't being spent on the right kind of defense. That's the upshot of two recent polls by Gallup. The first, conducted of 1,023 adults in February, shows that when asked about U.S. spending on national defense and foreign military conflicts, more Americans think the answer is "too much" (37 percent) rather than "too little" (28 percent). That's the bad news. The good news is that the correct answer to Gallup's poll appears to be "just right" -- that we're spending just about the right amount of money on national defense. in the waning days of the Vietnam War (when there was about a 40-percentage point disparity between respondents saying "too much" and "too little"). in the start of the Reagan administration, when 51 percent of Americans said we weren't spending enough on defense -- 36 percentage points more than said "too little." or in the start of the economic crisis in 2008, when fewer than half the people polled said we should sacrifice defense spending to help balance the budget. The other bad news is that, according to a separate Gallup poll of 1,028 adults, the money we spend on the military may not buy the kind of military most Americans want. Last month, Gallup asked which of the military's five branches was "most important to our national defense." More respondents (26 percent) named the Army. The Air Force came a close second at 23 percent, followed by the Marines (19 percent), the Navy (17 percent) and the Coast Guard (3 percent). %VIRTUAL-article-sponsoredlinks%And yet, where does the money go? This illustration by the Center for American Progress, based on data from the Pentagon's fiscal 2015 budget request has the most money going to the Navy -- $147.7 billion to be split between the Navy per se and the Marine Corps. To an extent, this makes sense. The Pentagon routes Marine Corps funding through the Department of the Navy. When awarding contracts that benefit the Marine Corps, the Pentagon always classifies them as "Navy" contracts. 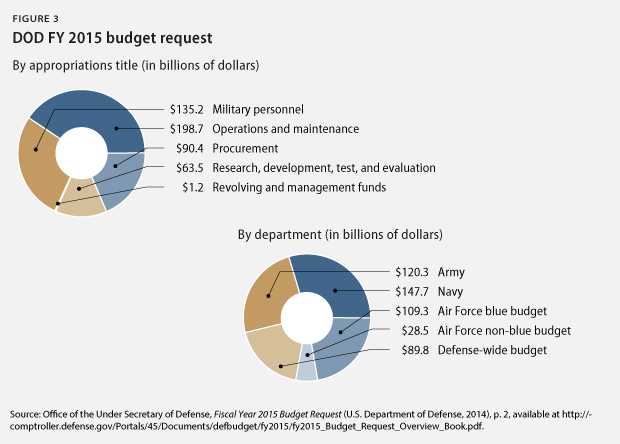 And the Navy and Marine Corps, combined, get the most funding out of the Pentagon's budget. If you combine the number of folks saying either the Navy or the Marine Corps is "most important" to the nation, the resulting percentage (36 percent) tops both the Army and Air Force -- and probably justifies the outsized investment being made in the nation's maritime forces. Funding for the Army and Air Force, on the other hand, doesn't match up as well with where American voters say our priorities should be. Likewise with the Air Force. Gallup's poll shows that Americans view the U.S. Air Force as second only to the Army in importance. Yet the Air Force's "blue" budget of $109.3 billion makes Air Force a relative pauper in budgetary terms, trailing the Army and Navy alike. (The Air Force technically has a separate "non-blue" budget of $28.5 billion, too. But these funds don't really go to things the Air Force directly manages, such as salaries, weapons, training, bases and airplanes. For reasons even Air Force officers have difficulty explaining, the bulk of "non-blue" funds, although routed through the Air Force, fund America's intelligence-gathering activities). So is the Pentagon -- and are the president and Congress -- misplacing their priorities? Are they spending money in one place, when most Americans would prefer they spend it in another? Tell us what you think, below. Motley Fool contributor Rich Smith writes daily on military matters for both The Motley Fool and DailyFinance.